Additional letters had been been submitted on his behalf by noted scholars in the art world, like Thomas Whittemore. 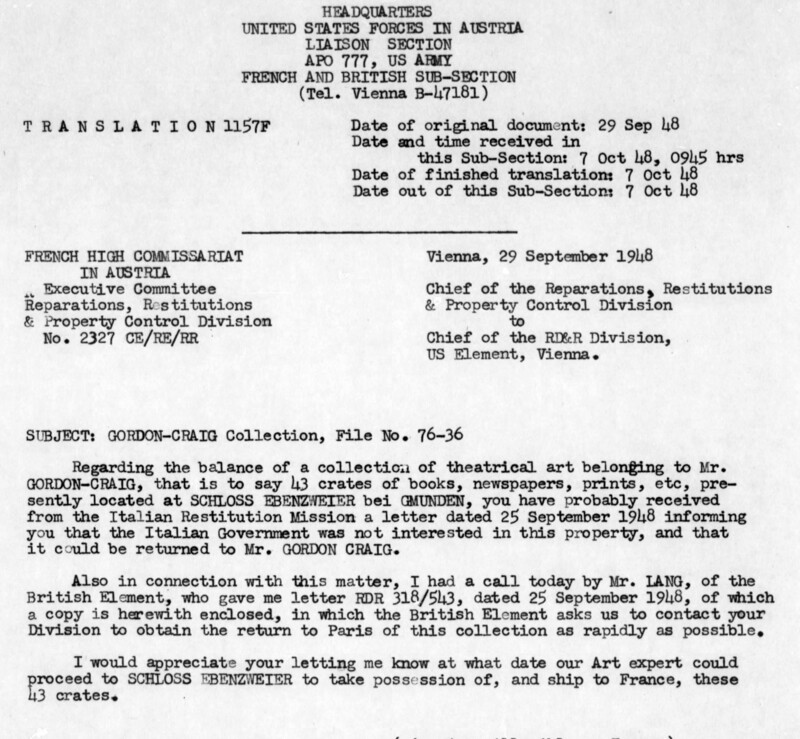 Further inquiry would reveal that Craig’s property was in the hands of U.S. forces but in Austria, not Germany. Unfortunately, while it was clear who had amassed the collection, it was unclear to whom the collection belonged, to which institution or even to which country. 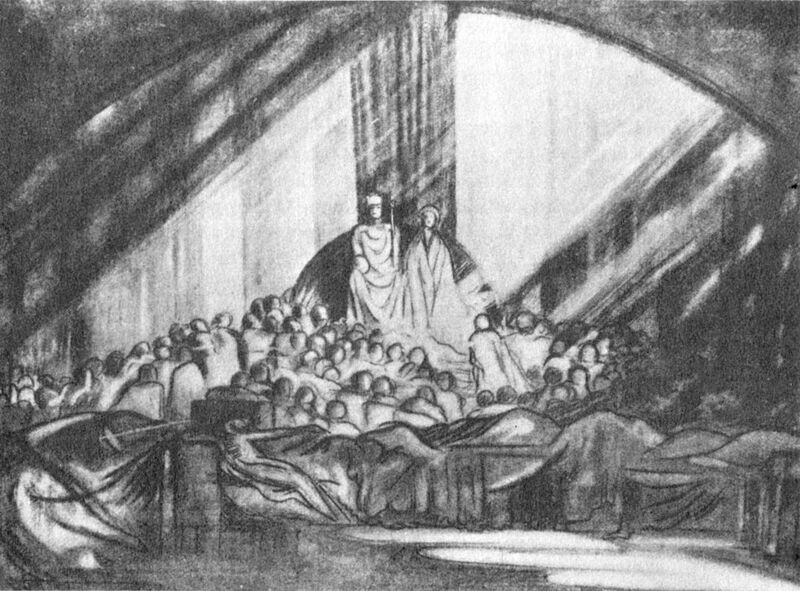 But before I learned about that intrigue, I first had to learn about this Gordon Craig. I was just curious. 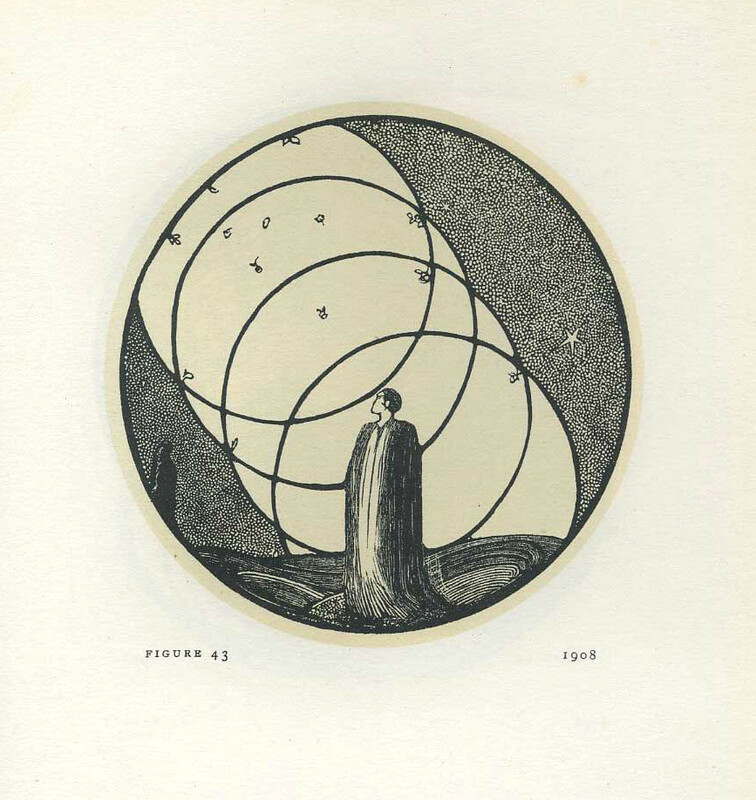 Why was this man’s boxes of books and drawings of such interest? who also did woodcuts and other illustrations. I found many online biographies describing his years of studying, performing, and teaching, and how he eventually moved to France. One document even stated, “In 1931 he went to live in France and in 1948 made his home in Vence, in the south of that country, where he wrote his memoirs entitled Index to the Story of My Days (1957).” (National Trust) But what happened between 1931 and 1948? In most online bios, and even in this wonderful timeline charting his career, about this time period little is written. 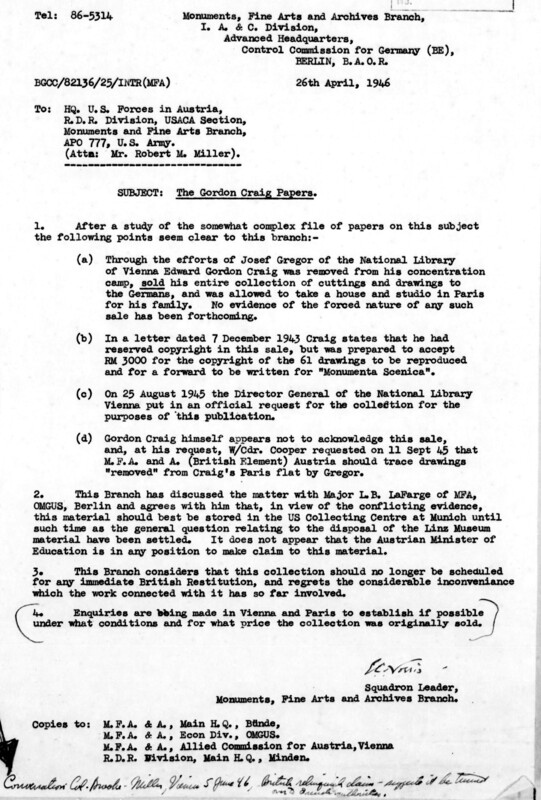 It is the events that take place during this time that establishes Craig’s presence in the U.S. National Archives and in the files relating to the work of the Monuments, Fine Arts and Archives Unit. 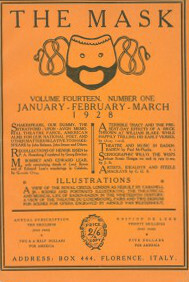 By the 1930s he had begun building his Gordon Craig Collection of writings and resources on the tools, techniques and artistry of theater. In 1942 he would be arrested in German-occupied France and taken to a Nazi Concentration Camp. He would be released, and his collection taken. 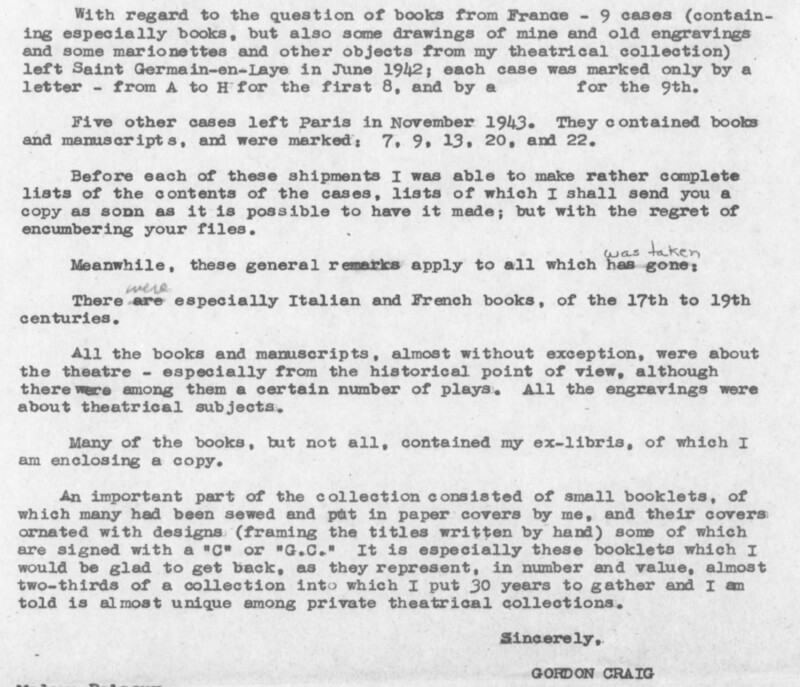 Soon after, conflicting stories would arise, as evidenced in this letter, about whether or not he’d sold the collection and, if so, under what circumstances. 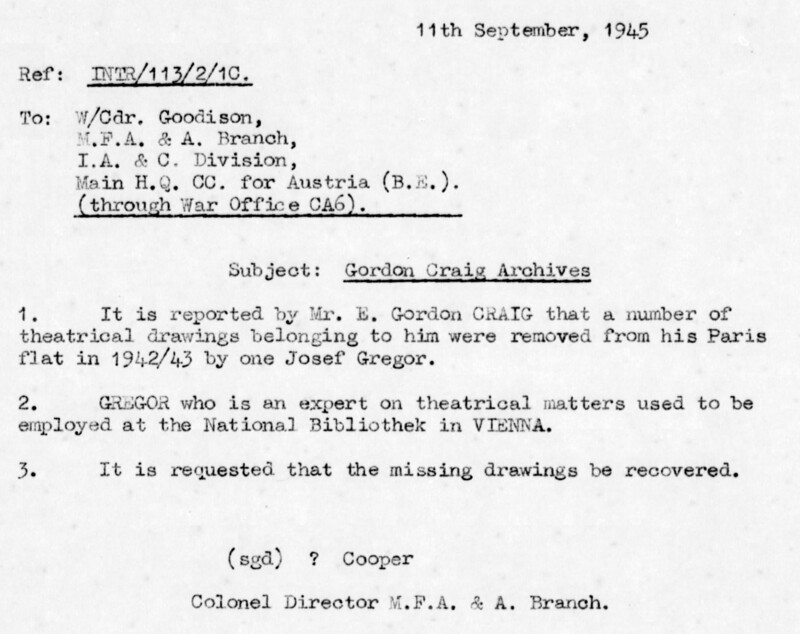 Joseph Gregor, mentioned in the above letter, had been working with Craig prior to the war. 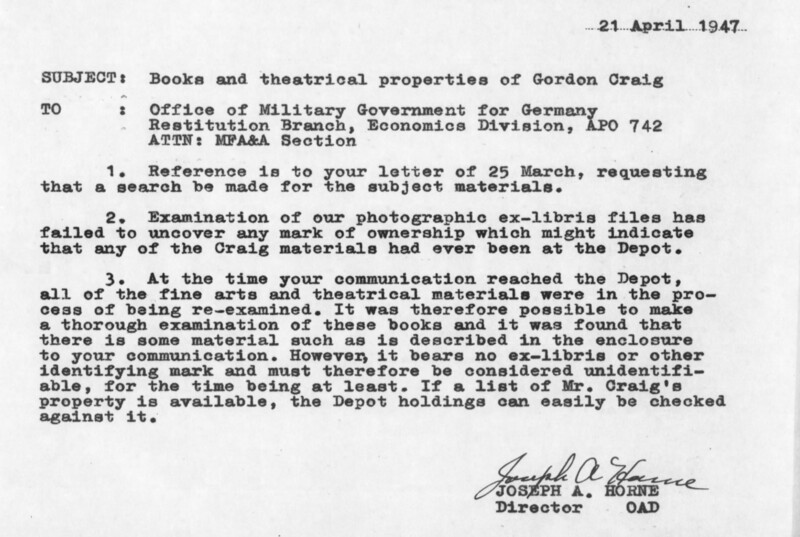 Documentation suggests that Gregor and others at the Vienna library in some way facilitated Craig’s sell of his collection to Hitler, who wanted to add the collection to his planned museum and library at Linz, Austria. Craig also made claims that Gregor had personally removed drawings from his apartment without his agreement. It took time and lots of paperwork but it appears that the items dispersed during the war were reassembled as a whole, and an attempt was made to return them to Craig. In October 1948, MFA&A officer Evelyn Tucker handed over the 40-plus cases comprising the Craig Collection to a French representative. 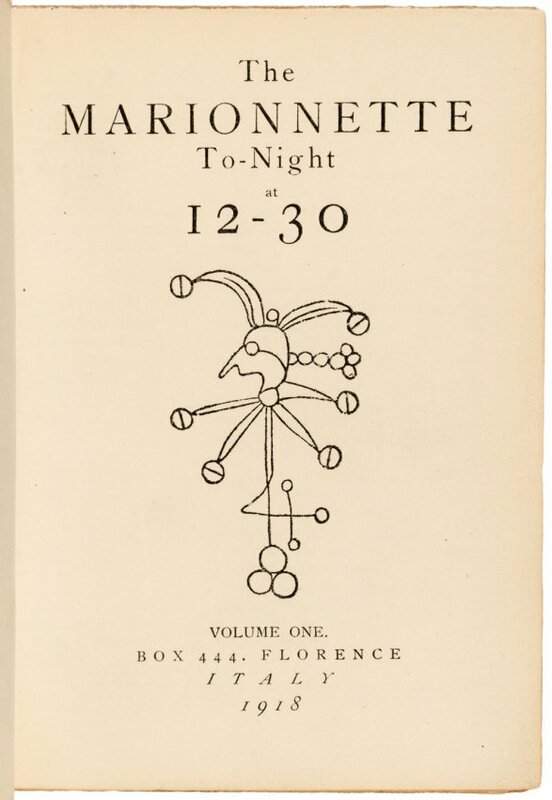 The cases contained manuscripts, illustrations, back issues of The Mask and The Marionnette Magazine. By November bills of laden were being exchanged between at least France and Britain to cover the cost of shipping the cases to Paris on behalf of Mr. Craig. 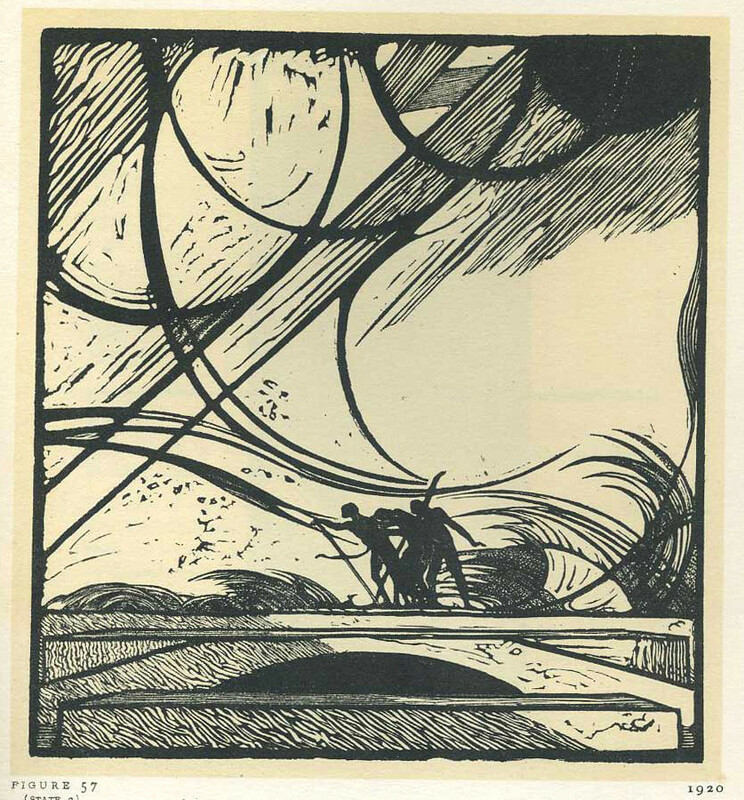 Nearly seventy years later, Edward Gordon Craig artwork and writings are distributed, as collections, in many major museums, universities and public and private libraries. His vision remains respected to this day. New articles are being written critiquing his work and his legacy, and exhibits of his drawings take place around the world. Like Lucy R. Woods, mentioned in a prior post, Sarah Wyman Whitman (1842-1904) taught Bible class at Trinity Church in Boston for over thirty years. She was also an accomplished artist working in multiple media, from painting to glasswork to book cover design. She was friends with Phillips Brooks, the rector of Trinity Church. Upon his passing, she and her Sunday Bible class gifted the church with a window in his memory. the windows (three giving on the cloister to the south) are kept in clear glass with jewelled flowers at the intersecting of the little frames …and then the middle one with a single device. The window is located in the parish library, and is another hidden gem of an architectural masterpiece. If you would like to learn more about Sarah Wyman Whitman, there are some great resources available online including her letters. The Boston Public Library has put together a gallery of her book cover designs. Learn more about Trinity Church architectural tours here. One day I found myself walking along, looking at the world around me. I passed a stand of birch and I found myself thinking, if I only knew how to paint, I’d paint these trees. I kept moving along, but the sight of the trees remained in my mind and I found myself thinking, if only I could write music then maybe I could write a song about the trees. But I know I don’t write music and so I started thinking, if only I could sing then maybe I could find someone else to write the music, but that would only work if I wasn’t shy. Now, I don’t really think I can sing but sometimes when I’m sure I’m alone, some kind of sound passes between my lips. And so that day, with all those if’s put out into the world, I decided to go ahead and try that singing thing. The following soft words emerged in some kind of rhythm. In New England, spring means flowers but it also means arts festivals galore. The one that I’ve become most connected with is Somerville Open Studios. This year’s official SOS weekend is May 3 + May 4 with studios open across the city and easily accessible by foot and trolley cars. Several April exhibits are also already up and running. Maps of different exhibit locations for the main May weekend are available in every Somerville neighborhood. The mapstands, made by artist Hilary Scott, are quite distinctive and kept regularly stocked by volunteers. The show is one of the largest of its kind in the U.S. You can read more about its unique history here. And you can learn more about participating artists via this link. Each year it is inspiring for me to see how involved the artists are, at every level, in making the show a success for everyone. … a lovely surprise appeared at my door. The postcards I mentioned as a work-in-progress in a previous post have arrived. These are images I’ve had the pleasure of taking of the stained glass windows at Trinity Church in Copley Square, Boston, a building considered one of the most significant in American architecture. Snow began to fall this morning and so I went to the window to check on my so-called copper branches. These branches drape over a crumbling concrete wall. The wall is adjacent to a muffler shop. If I were to widen my shots you would see the mountain of tires, metal poles and big blue barrels. The area is not easily accessible. It is cordoned off on three sides by a metal fence. 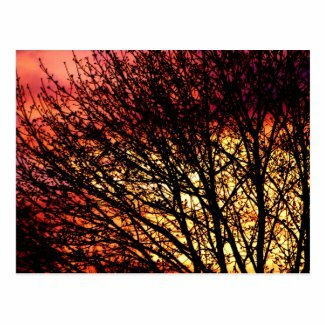 It is only because I am next door and up high that I can see the beauty over the wall. One day I may get up the nerve to talk with the manager and convince him to let me into the area, to climb over the tires, so that I can get up close to the tiny rambling woods. But for now I am happy to shoot from a distance and later play with the images. As different details emerge out of the lovely chaos – a leaf still green, the illumination of paler twigs, and so forth – it feels a bit like painting with light.